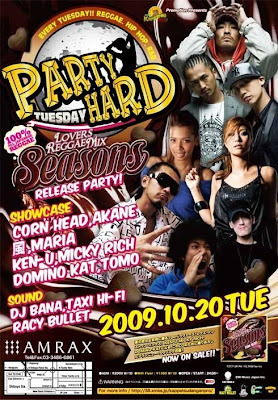 "100% Japanese Lovers Reggae Mix Seasons Release Party"
Come inna di Shibuya Amrax. No Worries!! Every Single Tuesday Night! !